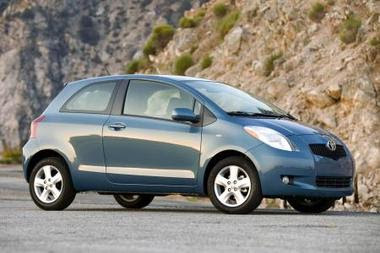 Toyota is recalling 1.3 million Yaris models worldwide (130,000 of which are in the U.S.) due to a seatbelt issue. The problem? Apparently in severe front-end collisions, the seat is at risk of causing a foam pad to ignite. Reportedly, Toyota is working with the National Highway Traffic Safety Administration to recall the cars. Yaris owners will be contacted by mail soon. According to Toyota, there have been no reports of this actually happening yet. Let's hope it stays that way.